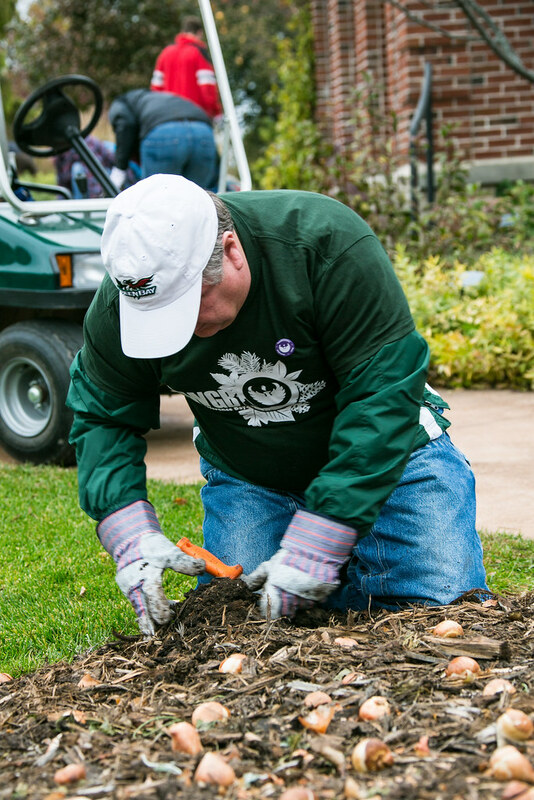 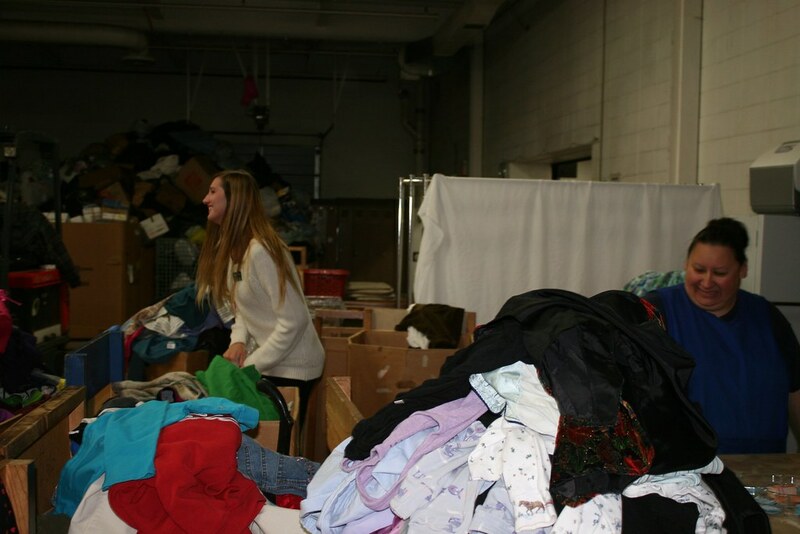 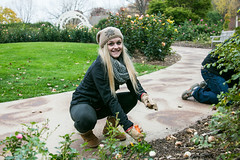 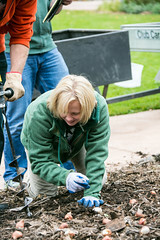 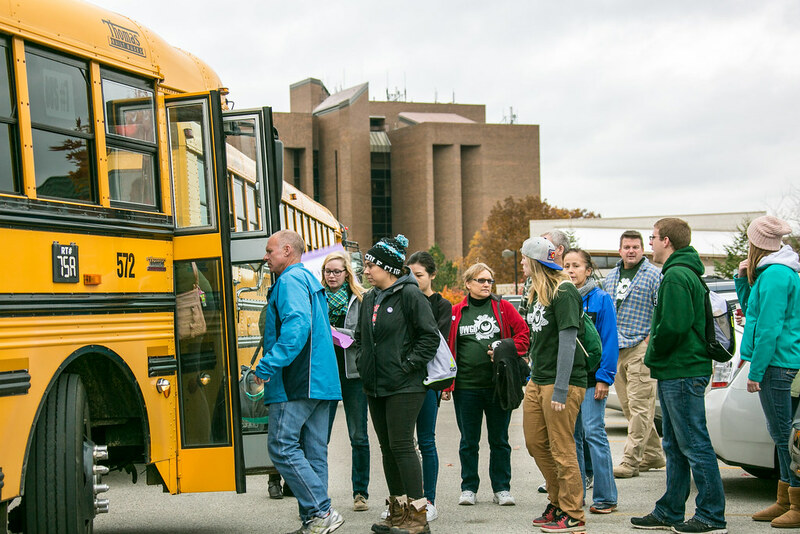 As part of UW-Green Bay’s 50th Anniversary celebration, more than 300 students, faculty and staff participated in Make a Difference Day activities, Friday and Saturday, October 23 and 24. 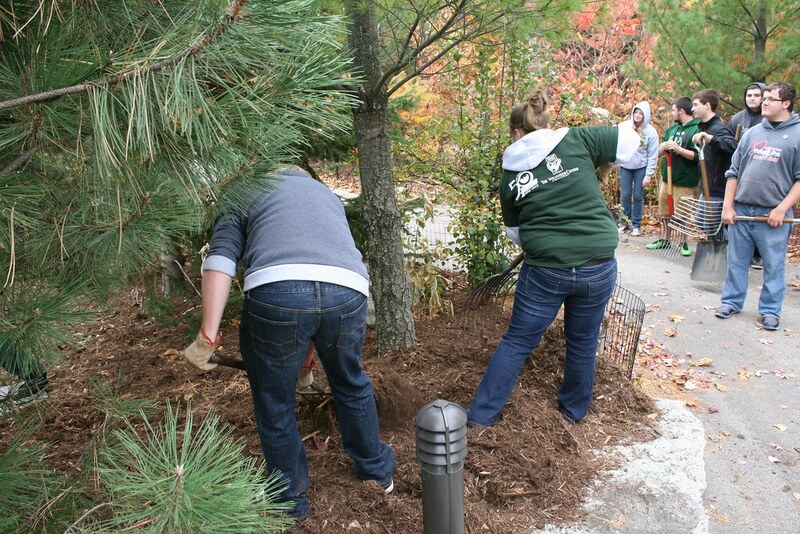 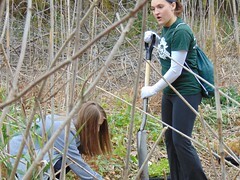 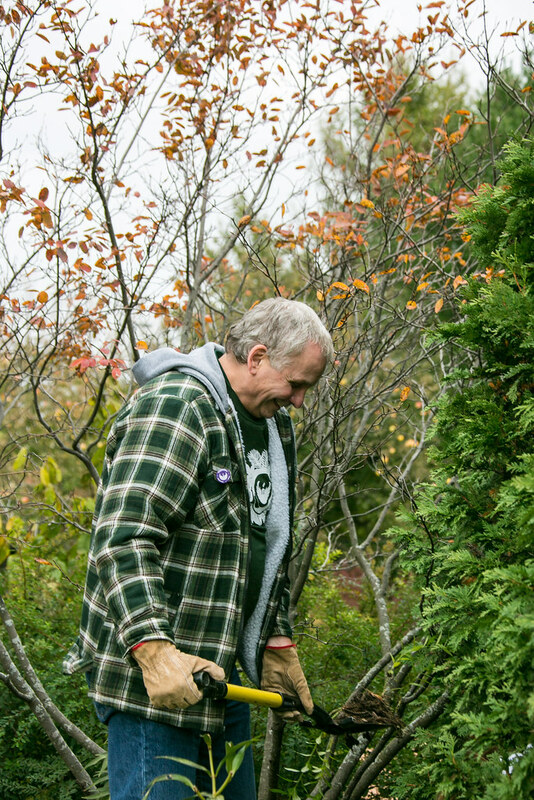 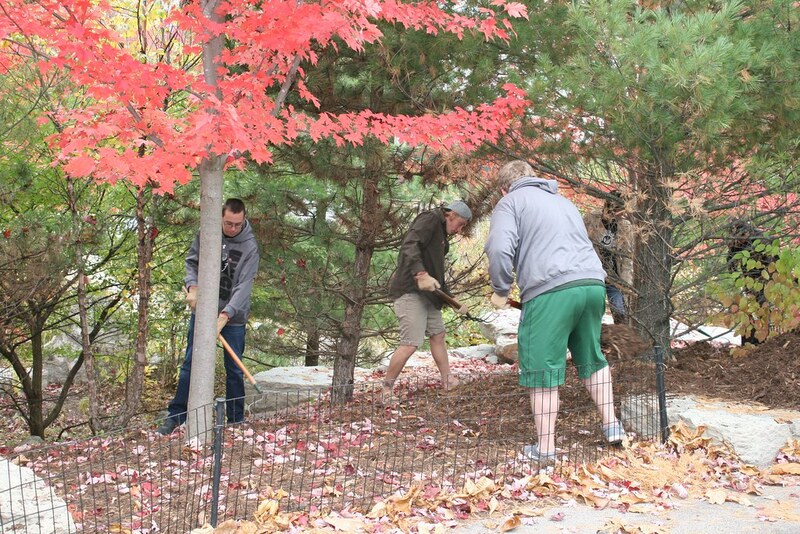 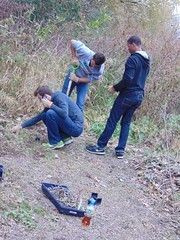 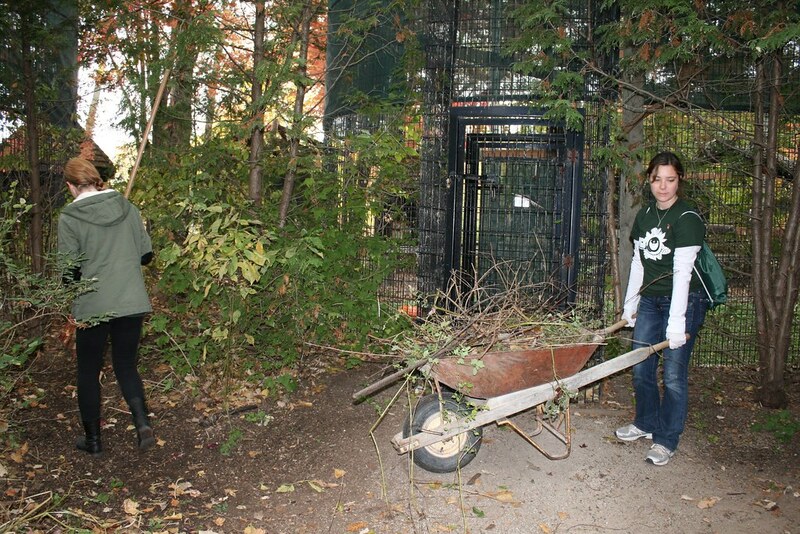 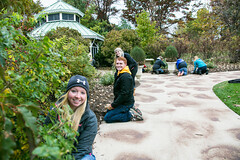 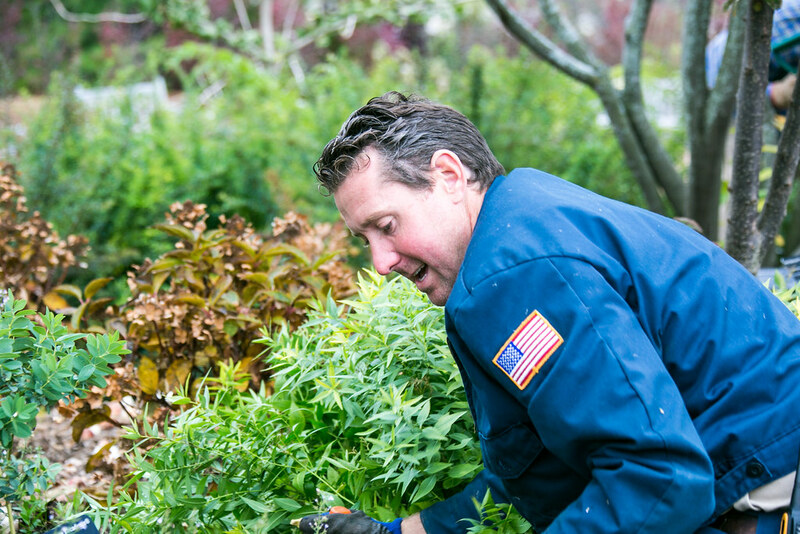 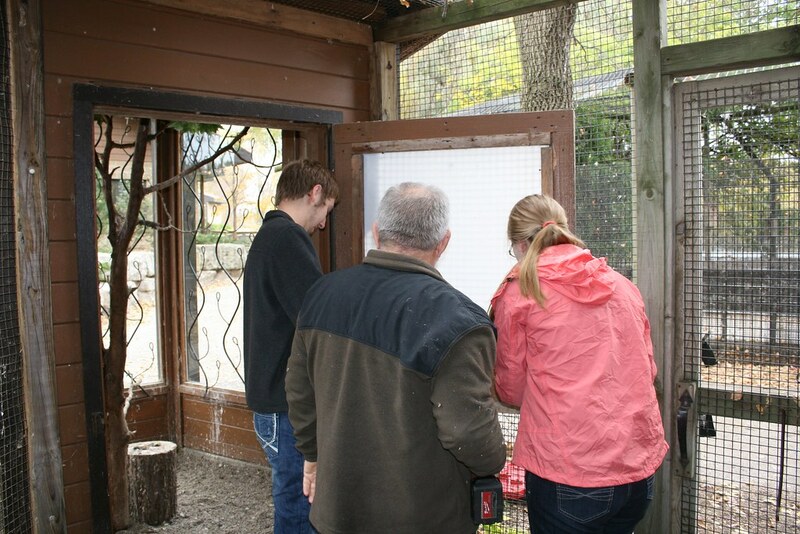 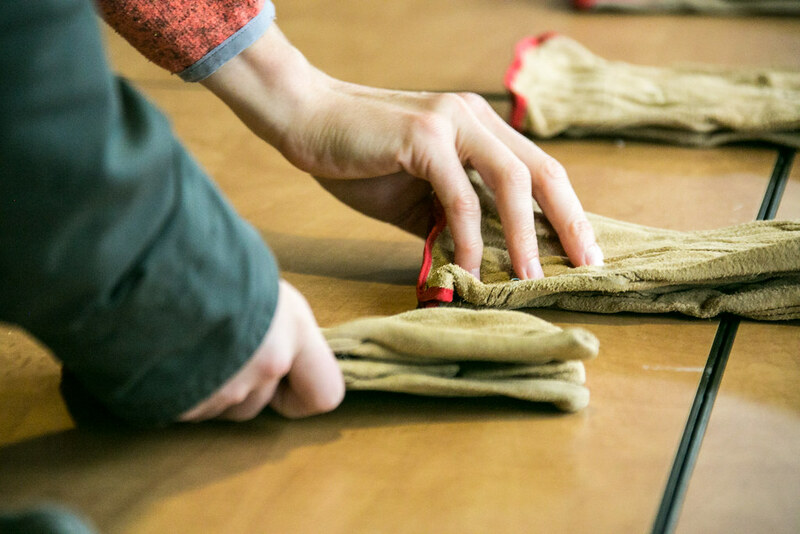 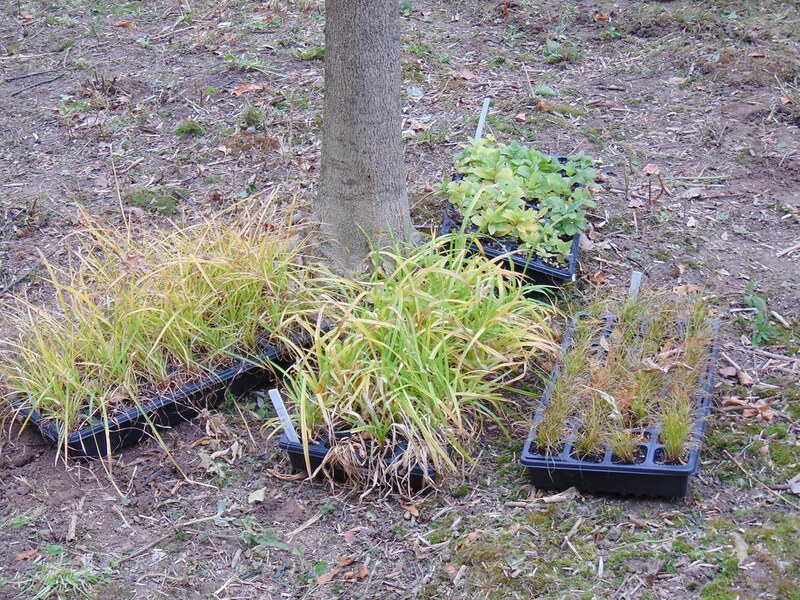 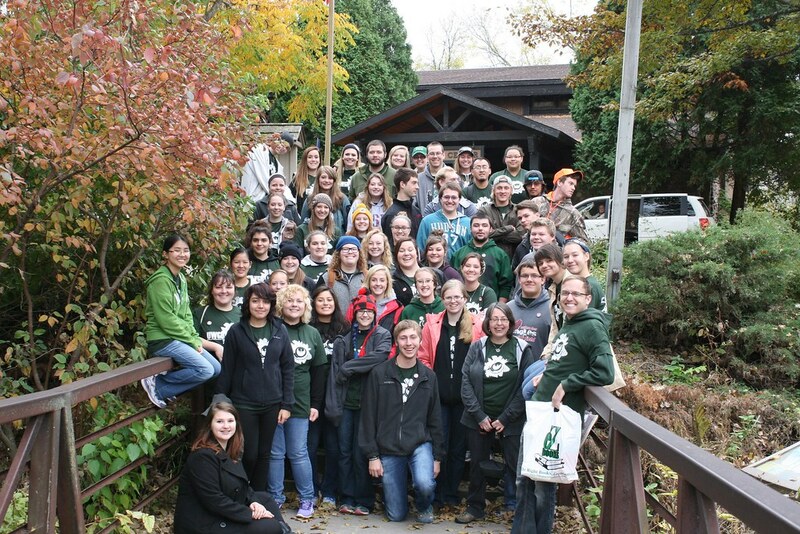 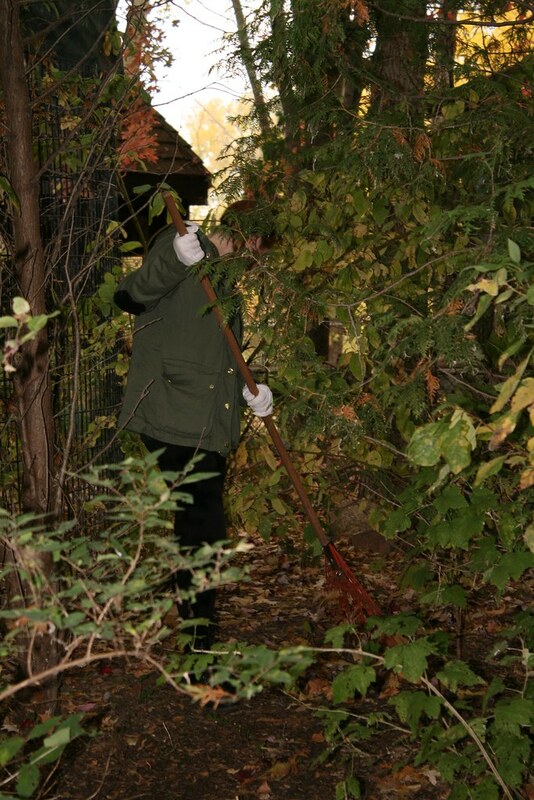 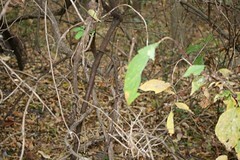 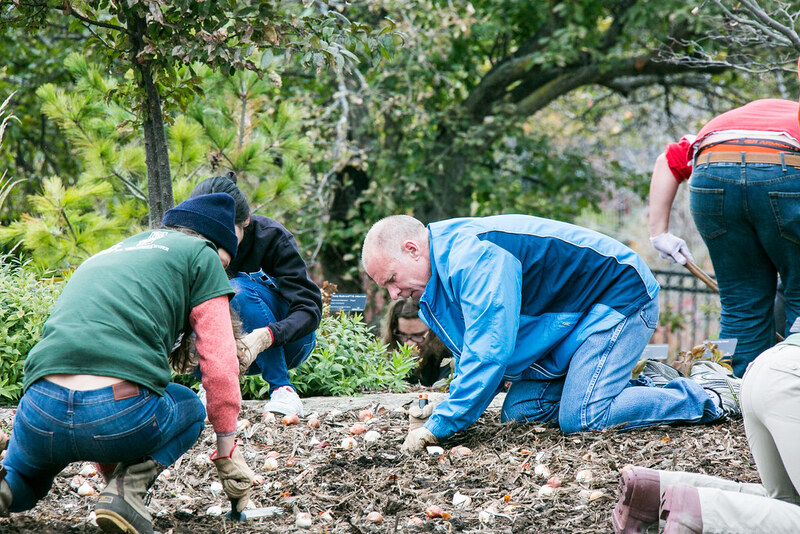 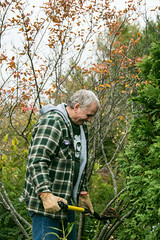 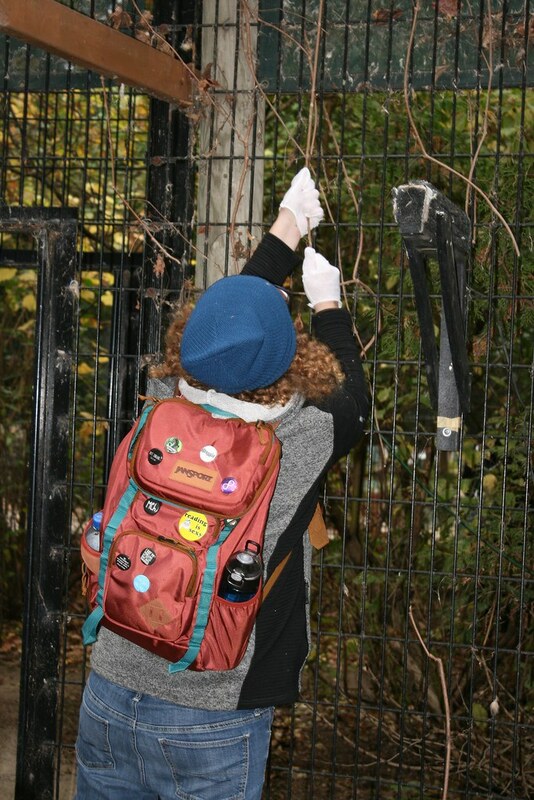 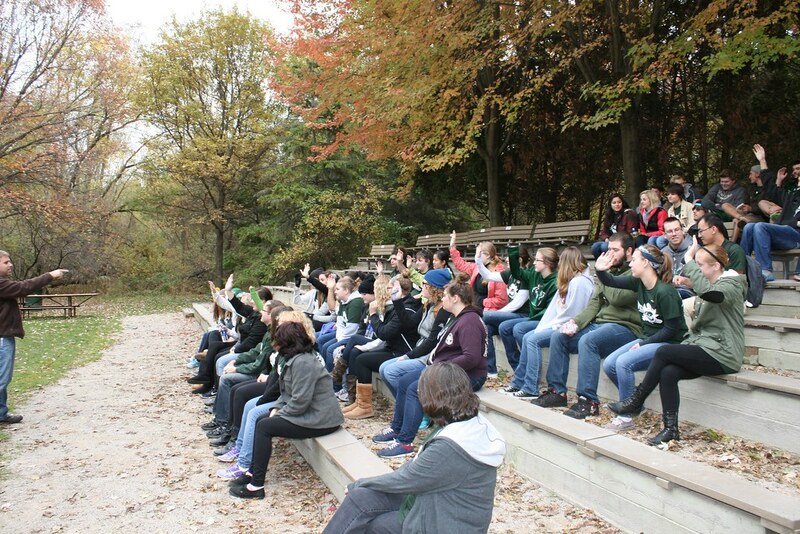 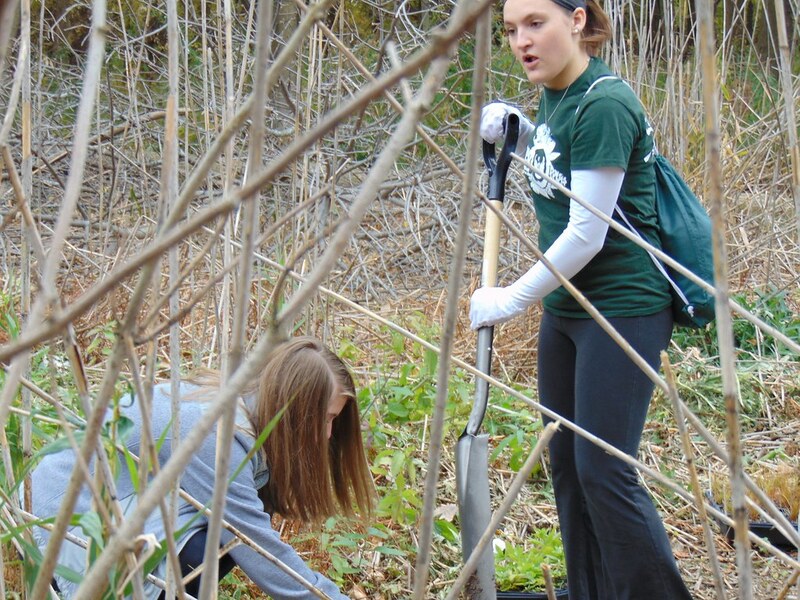 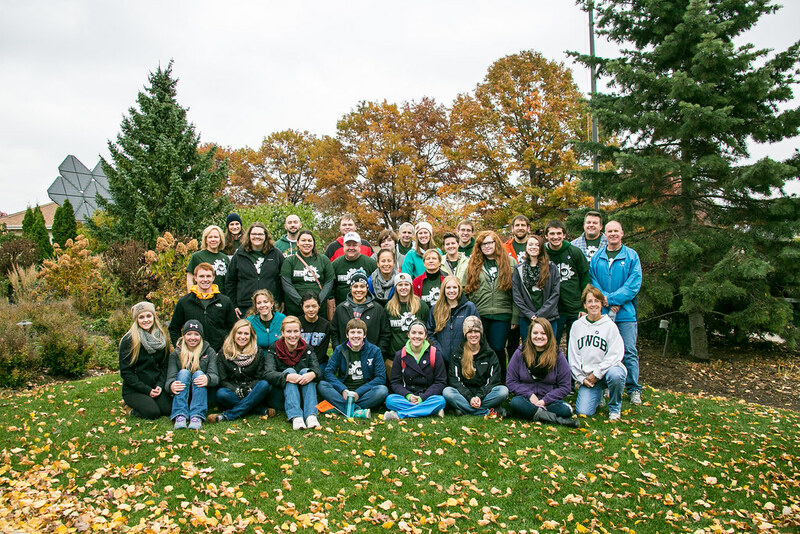 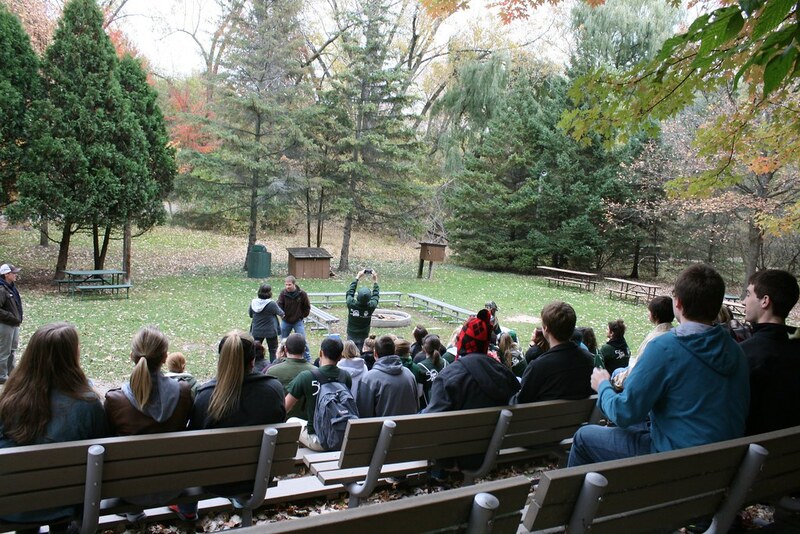 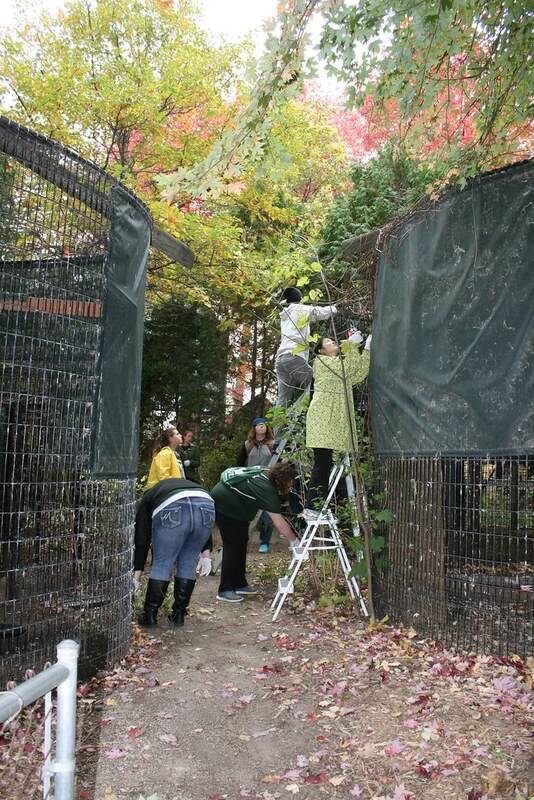 The UWGB contingent volunteered 1,000 hours of service Friday, October 23 at a number of sites in the community between 1 and 4 p.m. including Bay Beach Wildlife Sanctuary, Baird Creek, St. Vincent de Paul, and the Green Bay Botanical Garden. 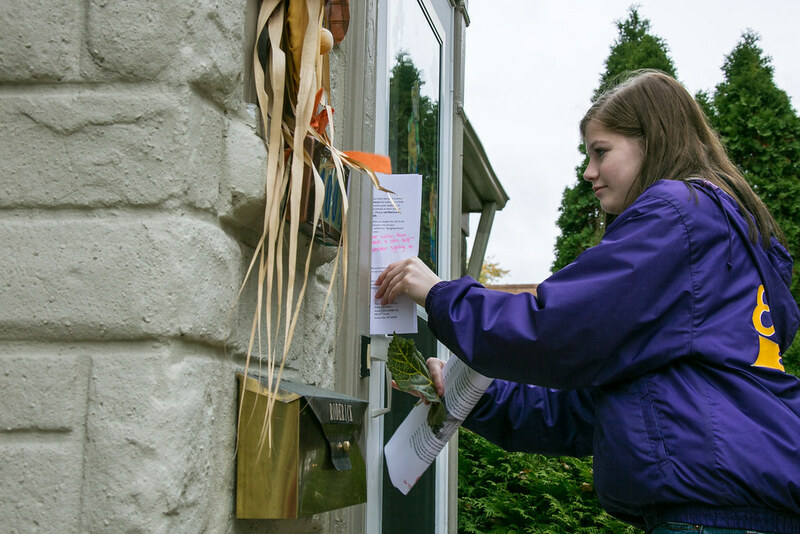 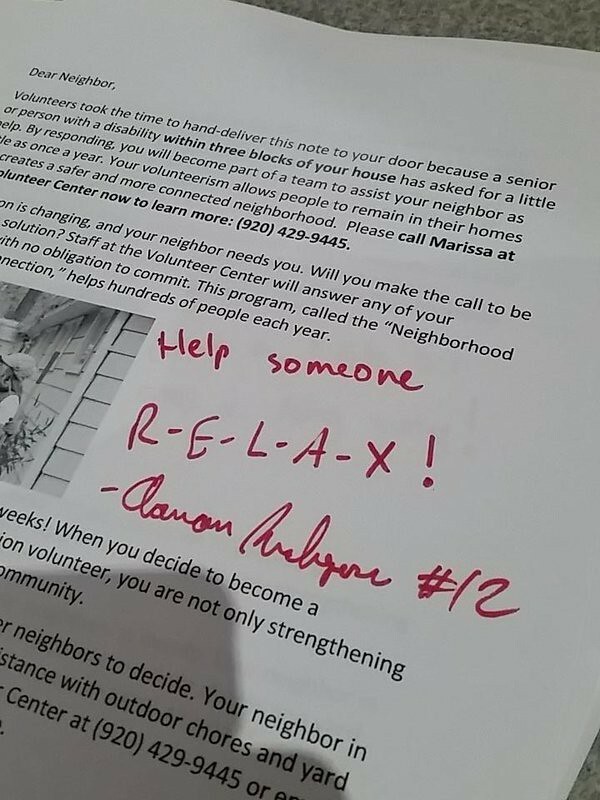 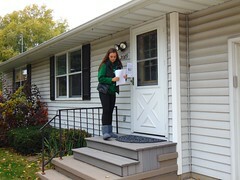 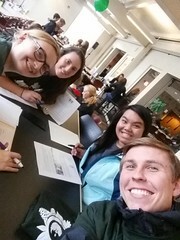 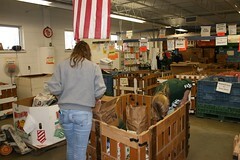 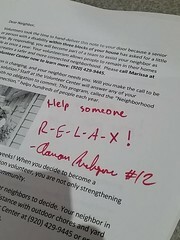 A large number of students also took part in the Volunteer Center’s “Neighborhood Volunteer Connection” — hand-delivering thousands of letters throughout Green Bay in an effort to recruit volunteers who will in turn assist seniors and people with disabilities in their own neighborhoods remain independent and in their homes longer. 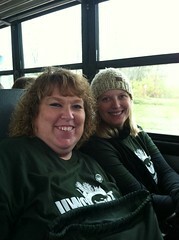 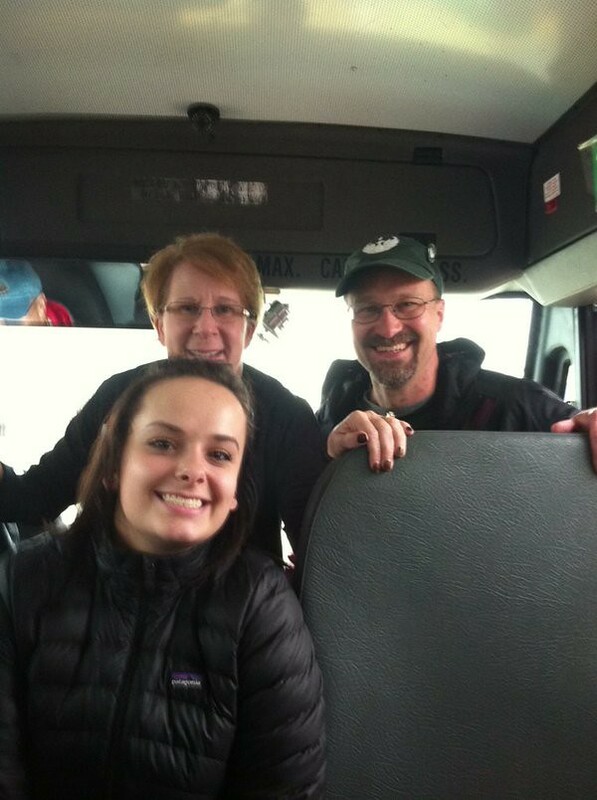 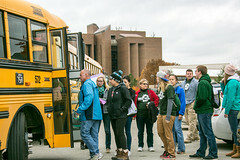 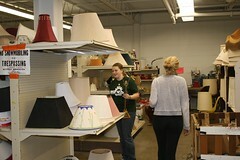 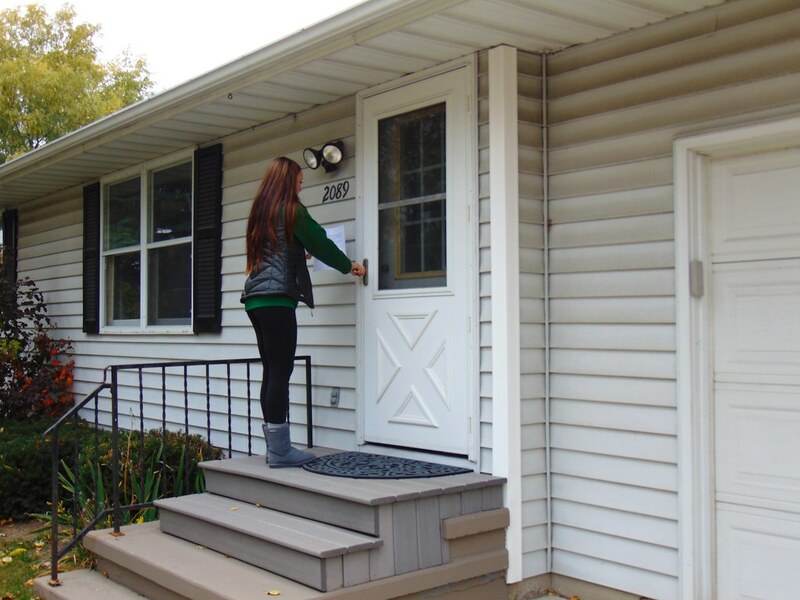 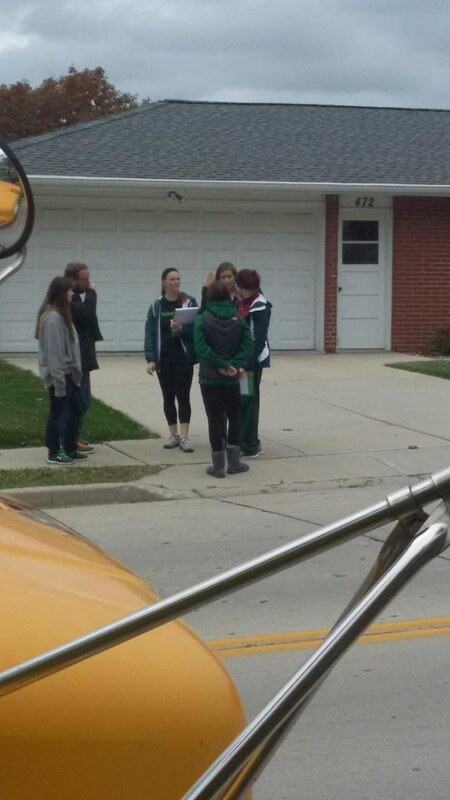 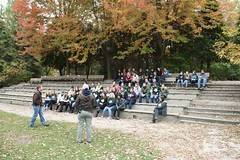 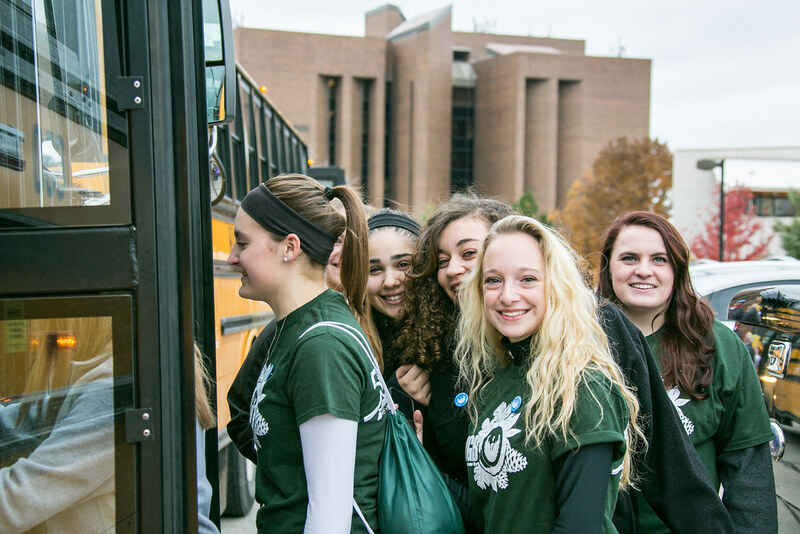 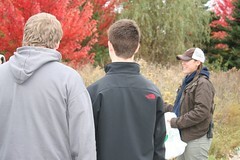 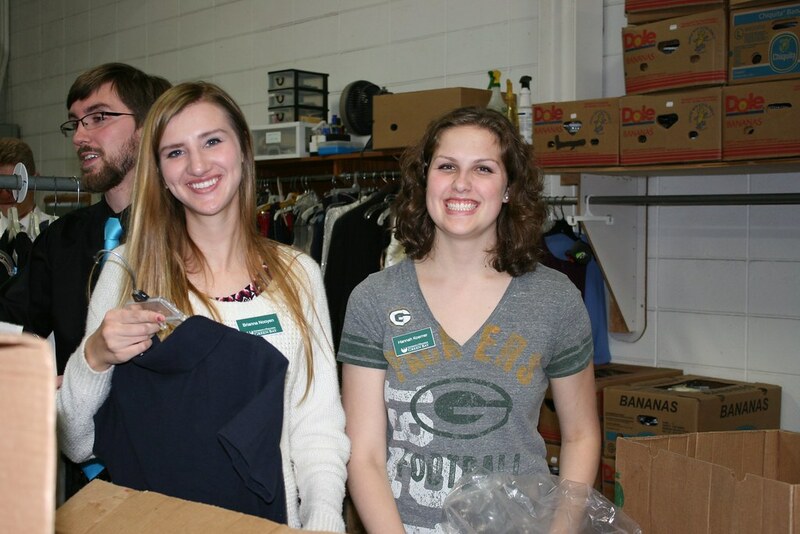 The UWGB team delivered letters to 6,000 homes that afternoon. 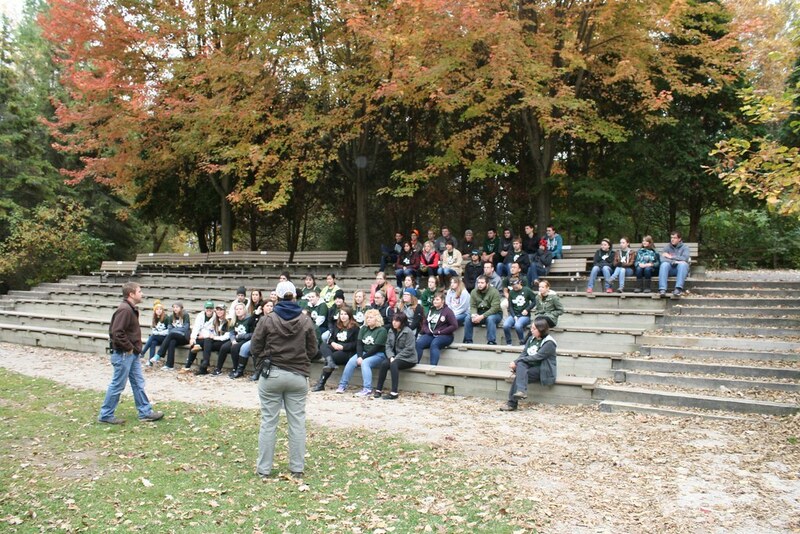 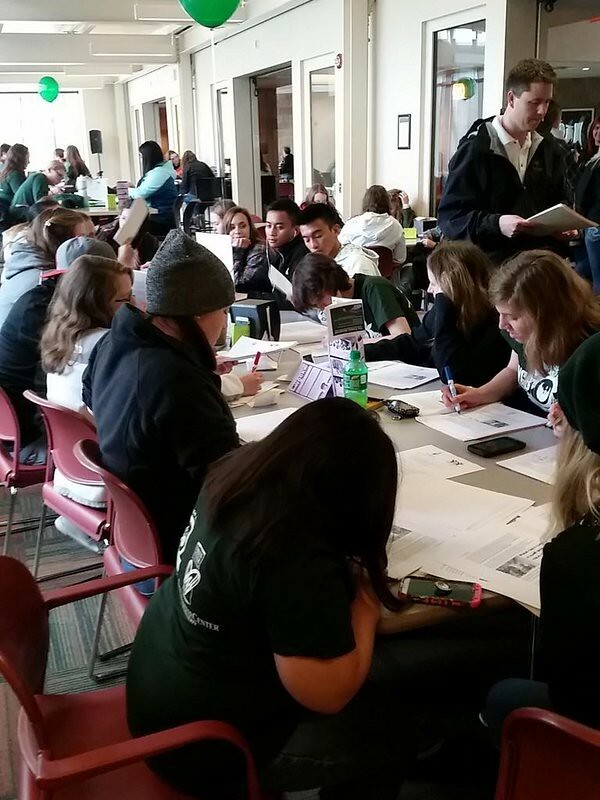 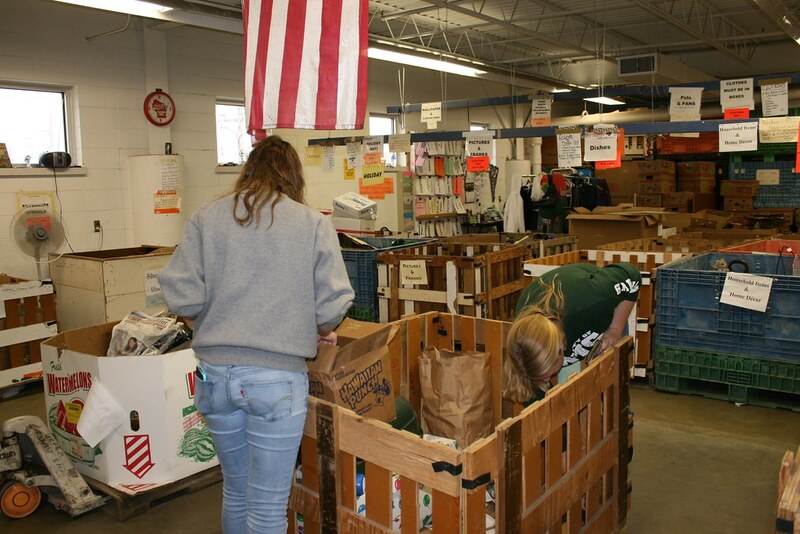 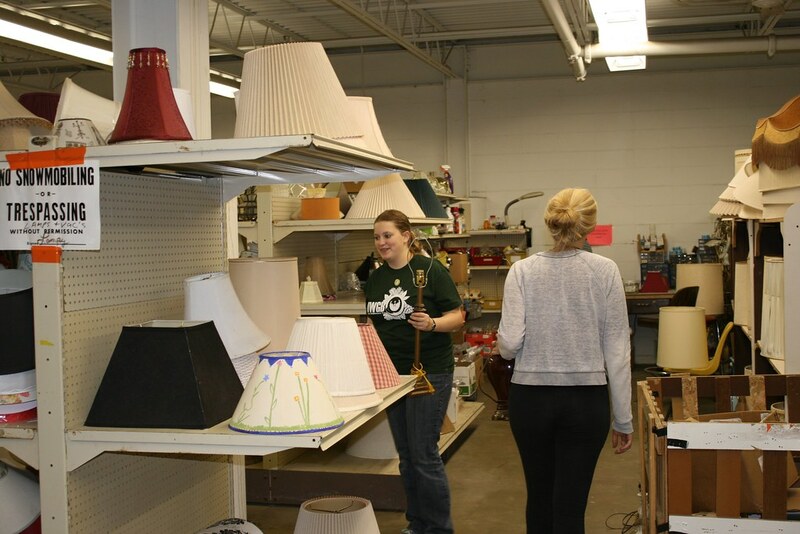 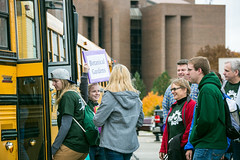 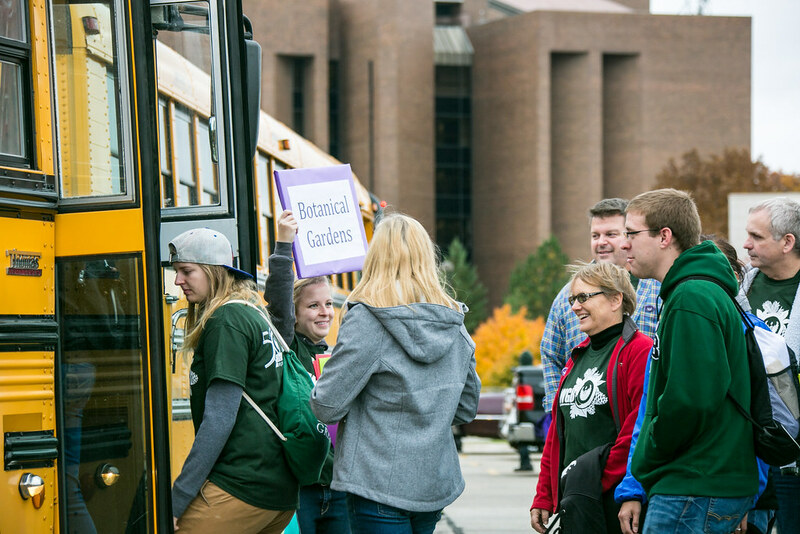 Many of the volunteers were freshmen who are enrolled in the UWGB GPS (Gateway to Phuture Success) program, designed to help first year students transition into college and succeed in college-level courses through faculty connections and peer mentoring. Volunteers returned to the University Union at 4 p.m. for a celebration and refreshments, with a short program that included appreciation from UW-Green Bay Chancellor Gary L. Miller, Green Bay Mayor Jim Schmitt, UWGB student Sierra Spaulding, and The Volunteer Center Coordinator Michael Schwartz-Oscar. 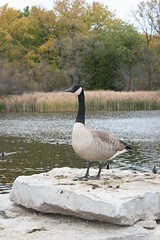 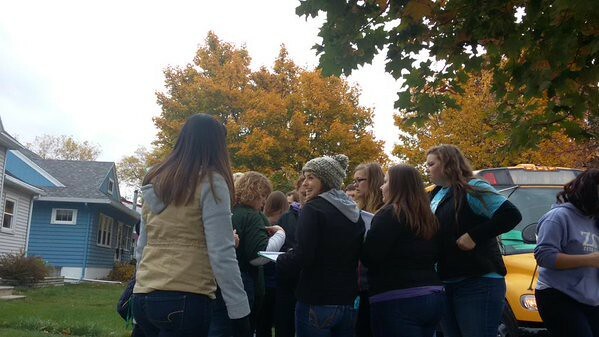 The program was emceed by UWGB Dean of Students Brenda Amenson-Hill. 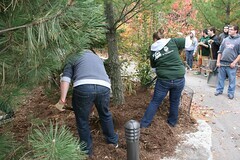 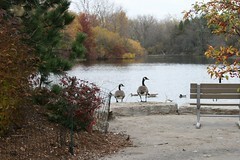 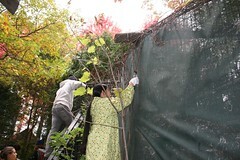 The activity was also in support of the Campus Common Theme — Engaging in Public Life. 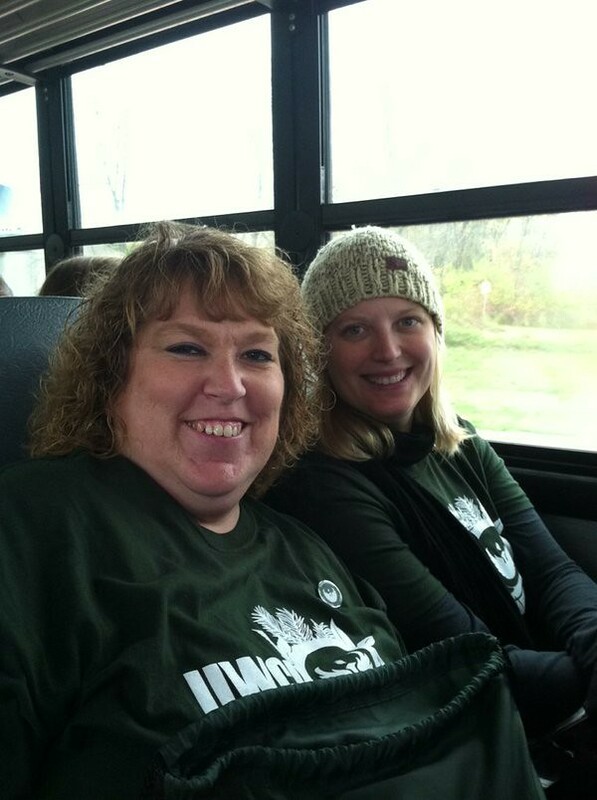 Photos by UWGB Marketing and University Communication staff members Kimberly Vlies, Jena Richter, Sue Bodilly, and other UWGB faculty and staff members on site, and shared on social media with #UWGBMDDay. 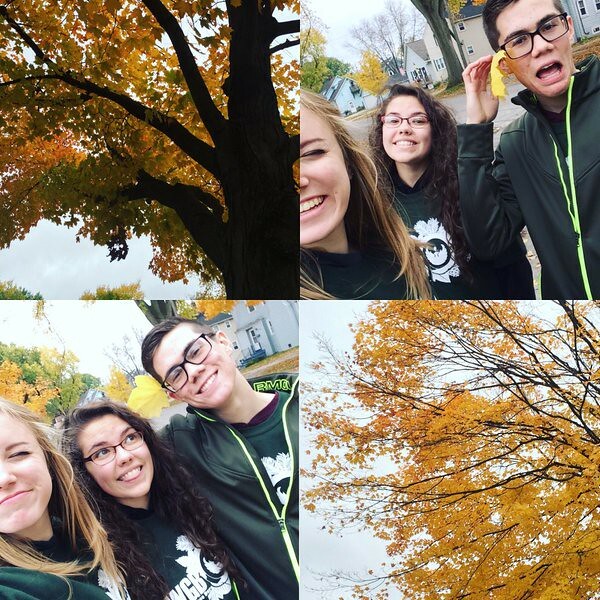 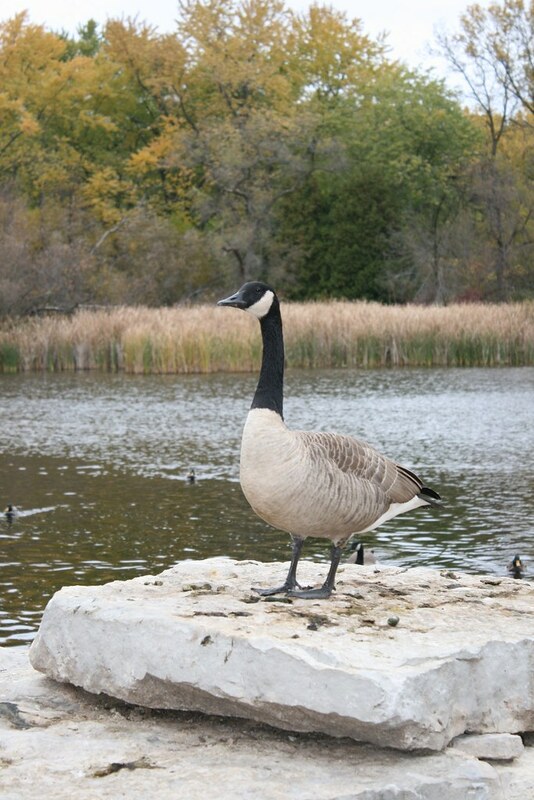 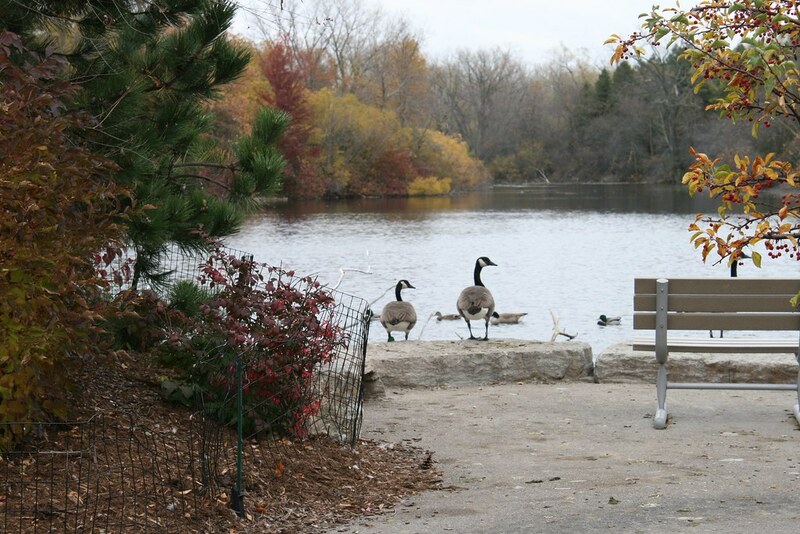 This entry was posted in Giving Back and tagged Photos on October 27, 2015 by Sue Bodilly.